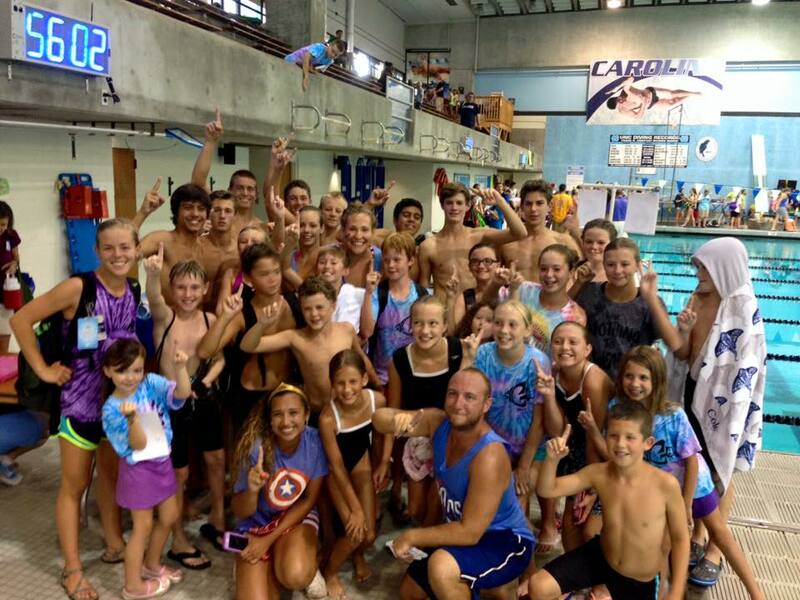 Join the fun of our Stingrays Swim Team! The SVGC Stingrays swim team has approximately 200 swimmers ages 5 – 18. Our Head Coach, John Denniston, teaches at nearby Culbreth Middle School. Many of our assistant coaches grew up with our team, and already know many of the younger swimmers. The Stingrays team is a safe and fun learning environment where young swimmers of all abilities can build skills, make new friends, get some healthy exercise, and enjoy being on a team. We use every opportunity to have older swimmers connect to the younger kids, and we’re growing our junior coaching program to facilitate those relationships. The team practices daily Monday – Friday in the morning and afternoon. Registration for 2018 begins April 1st. More detailed information can be found on the team website at the link below. Congratulations to the fantastic swimmers and coaches of the Stingrays Swim Team on winning first place at Champs in 2015! A first time ever for the Southern Village Stingrays! The SVGC swim team website has all the information about practices, meets, socials, coaches, etc. Please refer to this for the most current information. The success of our swim team program depends on our parent volunteers as well as our great swimmers! We encourage you to volunteer for our home and away swim meets when you register your children. For more information, please email SVGCSwim@gmail.com.